Blog Who Are We Worshipping? So the question is then, what or who are we worshipping? Whether it be the newest fad to pop-up on the internet, the newest phone to hit the market, or the most recent pop culture icon to adore we are all giving our time, energy, affection, and praise to something. 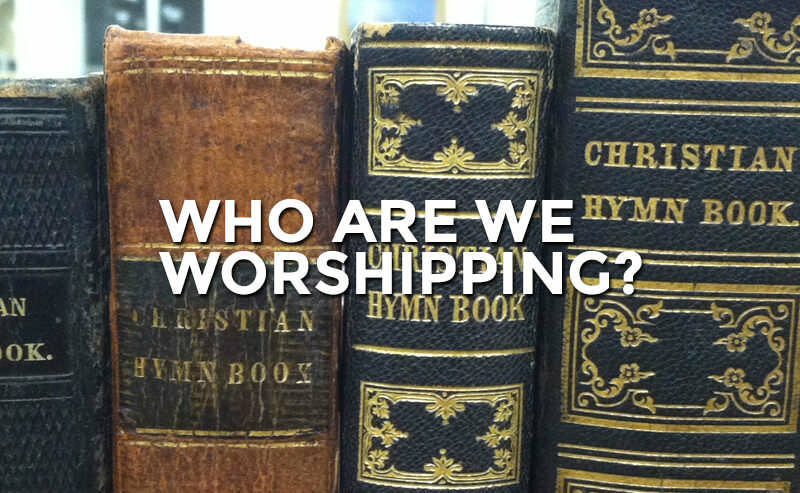 The best place to start when it comes to finding out what or who we are worshipping is to understand first, what is worship? One of the best definitions that I have come across can be found in the writings of the Apostle Paul at the end of Chapter 11 and the beginning of Chapter 12 in his Epistle to the Romans. 11:36 …To him be glory forever. Amen. 12:1 I appeal to you therefore, brothers, by the mercies of God, to present your bodies as a living sacrifice, holy and acceptable to God, which is your spiritual worship. The keys to take away from this verse are that there is something in a place of glory and we sacrifice in order to worship the person or thing that we hold in this place of glory. Because of the finite nature of our humanity we are limited in our resources and time that we can attribute for a given object of glory. As such we will make sacrifices for the object to which we attribute the most glory. All of us have people, objects, responsibilities, desires, etc… or another way to say it, IDOLS, that we at times hold higher than all other things. But the very real truth is that God deserves and is due all glory forever, plain and simple. As such we are to sacrifice our time, talent, and treasure to give Him the worship that He is due. Pray to God and ask for Him to reveal the things in your life that you have put in a position of glory above Him. Ask forgiveness for this idolatry and the strength that can only be found In Christ to repent and turn to Him. An important note, this is all in response to the work of Jesus on the cross. Without His blood being shed on the cross for our sins we would not know God nor would we have the ability to be as “living sacrifices.” It is all because of Jesus and His redeeming love that we even have the option to worship God rightly.